Miss Anna Ekstrom is Vice President / D&O Underwriting Manager, StartPoint Executive Risks. Miss Ekstrom focuses on underwriting primary and excess layers for US public and privately held companies for all lines within Executive Liability – directors and officers, employment practice and fiduciary liability. From February 2013 until June 2015, Miss Ekstrom served as Senior Vice President Executive Risk / broker at Paragon International Insurance Brokers Ltd, specialising in all lines within Executive Liability, directors and officers, employment practice, fiduciary liability, fidelity and cyber insurance for US and international companies. 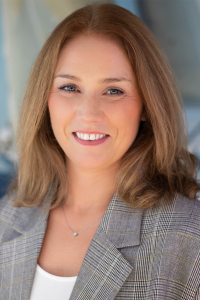 From August 2006 until February 2013, Miss Ekstrom served as Assistant Vice President, Financial Lines for AIG Europe Ltd. Before leaving AIG, she served as the head of the large accounts team. In this role, she oversaw the Executive liability lines for the large account segment and was responsible for the performance and management of the team. Prior to joining AIG, Miss Ekstrom worked for the Risk Management department at Schenker AG, a international logistic company. In her role, she worked with worldwide insurance programs and risk management solutions for the group. Miss Ekstrom has a Master of Science in Business and Economics, with specialization in strategic and operative management accounting / accounting and finance, from the University of Gothenburg, Gothenburg, Sweden.